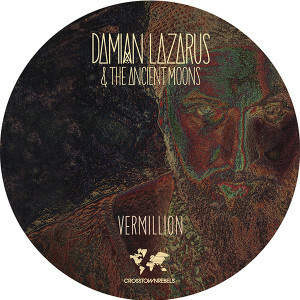 Pete Tong’s ‘Essential New Tune’ last week, ‘Vermillion’ is the lead single for the forthcoming album from Damian Lazarus & the Ancient Moons. Channeling the magic of those hazy, sunrise parties Vermillion captures the globetrotting influences of Damian Lazarus’s new album. Released on 30th of April, ‘Vermillion’ lands with an inter-stellar remix package. French techno connoisseur Agoria leads us on a minimal, spaced out trip through shining synths and swift vocal echoes. Acclaimed house maverick and Hot Creations head honcho Jamie Jones has been closing his DJ sets for the last few weeks with his own remix. Its bouncing, old school house tip bounding beneath bright gospel turns of phrase, approaching near classic status with arms aloft receptions on the dancefloor. And finally Berlin’s Deniz Kurtel, who pulls her penchant for polyrhythmic percussion to the fore, casting sweet tribal grooves across an original surely destined to become a dancefloor anthem this summer. A career spent DJing across the globe was the catalyst for Lazarus’s latest project – Damian Lazarus & The Ancient Moons. Co-produced by James Ford of Simian Mobile Disco, the new album brings together an assortment of vocalists, collaborators and players from around the world, all taking inspiration from his Lazpod series, Get Lost events and Day Zero festival in Mexico.